Halloween! We love Halloween at whimsicalstitch.com. Mr. Owl has a wickedly fun body stitch along with bright beaded eyes. The stitched piece is a stand-up, but the guide includes stitches for both the stand-up and a full piece with a background for those who do not want a stand-up. The guide includes easy, fun stitches that bring drama and fun to the piece. 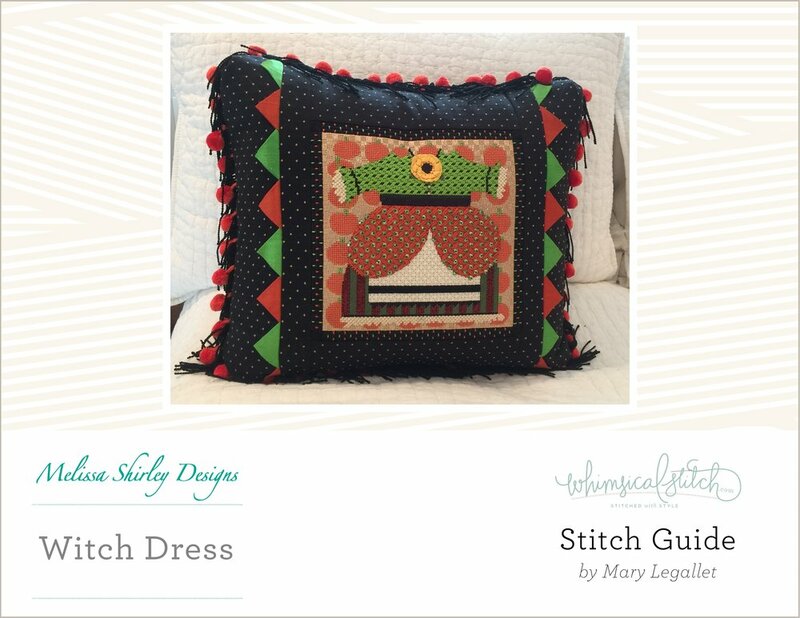 Designed for Melissa Shirley Designs Canvas #DM80-C.
whimsicalstitch.com Stitch Guide #SGDM80-C. Suggested retail price = $30. Other fun Halloween pieces include the following.